"Soft, wonderful cotton. 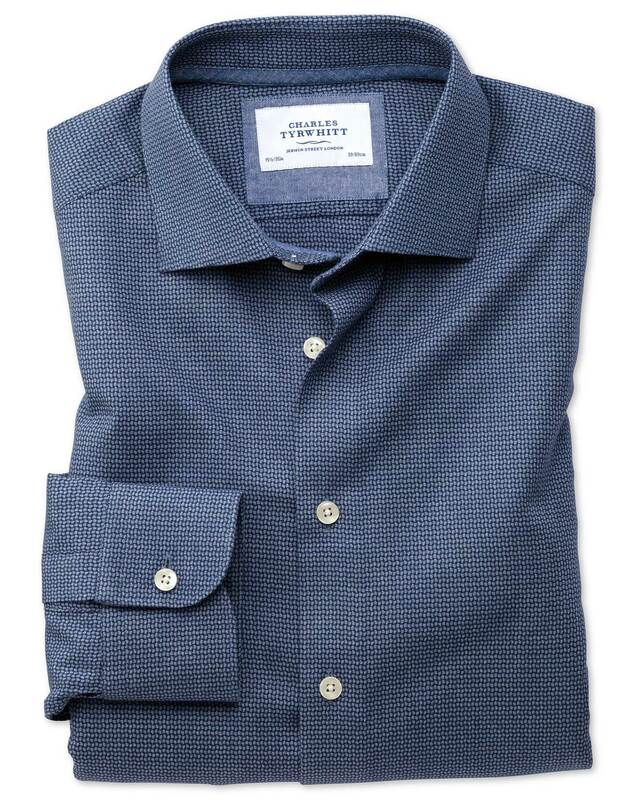 A handsome weave unique to Charles Tyrwhitt. There are so many reasons to fall head over heels for this shirt. That's why we've kitted it out with a versatile soft interlined collar: so it looks the business with or without a tie, and you can wear it whenever you fancy (in my case rather a lot)."